Skin firming and tightening with Radio-frequency. The skin ages because of a natural biological process but also because pollution, stress, sunlight, life-style and medication. Every year we lose 1% of our natural collagen. This results in sagging skin with reduced elasticity, changed texture, lines and wrinkles – all visible signs of ageing. As we get older, cell divisions slows down. As a result the natural moisture regulation stagnate and elasticity is reduced. Fibroblasts are cells which produce elastin and collagen. In a young skin these are renewed every 21-28 days, but as we get older, this process only happens once every 40-45 days. The skin will slacken and wrinkles can start to appear. Collagen and elastin are supporting base proteins, which make the skin strong and flexible. As the years go by, a reduction in collagen results in the slackening of the skin. The skin loses its suppleness. From age 25 the skin gradually reduces its production of collagen, which results in slackening of the skin and wrinkles. During the menopause this process will speed up rapidly. With the RF treatment we can counteract this process using pulses which penetrate into the skin. Every pulse which enters the skin during the Fotofacial RF treatment consists of two sources of energy: the biopolar RF and the flash light (IPL). These invisible pulses cause intensive heat within the skin. The raised temperature in the skin tissue causes a contraction of the present collagen. The fibroblasts will be activating so that they start producing new collagen and elastin. The result is the tightening of the skin. Often improvement is visible even after the first treatment. During the treatment a cooling gel will be applied to the target area. This gel conducts the energy into the skin. After this the sapphire will be projected onto the skin and the pulses start penetrating into the skin. These pulses can be perceived as a tingling sensation. It’s possible that treatment will leave some redness and a warm sensation. Normally these phenomena will disappear within an hour of the treatment. Who can have the RF treatment? There’s no age limit and the treatment is suitable for all skin-types. If you want to counteract the signs of ageing and would like to have smoother, firmer and fresher looking and feeling skin then this treatment is for you. A typical treatment series consists of about 6 sessions. Depending on the condition of your skin, an average of 4 to 8 treatments is available. For optimal results and real skin rejuvenation we recommend a cure every week. In order to maintain the result obtained and to reduce skin aging, it is recommended to treat once every 4 to 6 weeks. We see results in almost all patients from the first treatment. The desired improvement is reached after a completed treatment course with measurable results and improvement of skin texture. Results may vary from person to person. Has the treatment been clinically tested? Radio-frequency treatment have been clinically tested and have been proven to tighten the skin resulting in a younger looking skin. 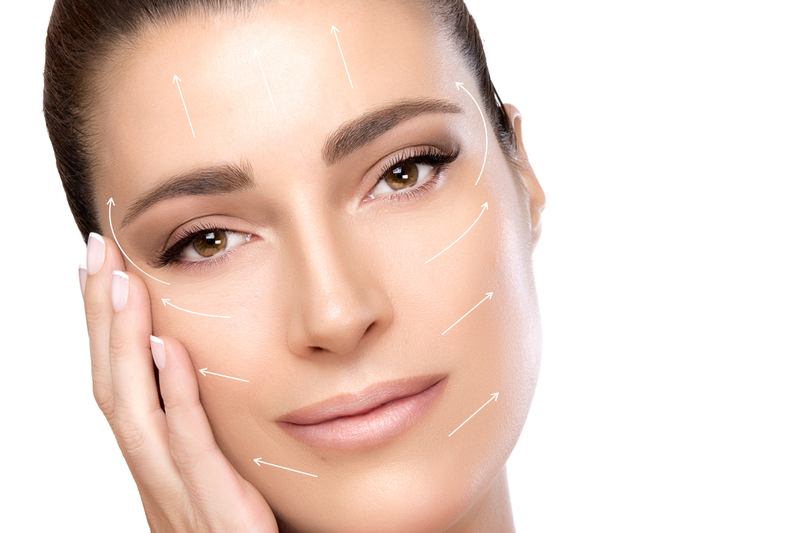 Everyone who is treated with radio-frequency can expect a smoother, tighter skin.